Lip stains have gained a big following within the past couple of years, and for good reason. These products promise long-wearing, kiss-proof action. Who doesn't want that? 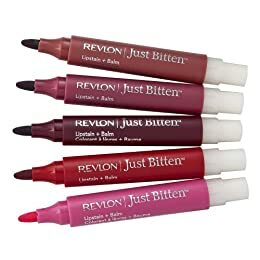 The most popular brand is the Just Bitten line from Revlon. The stain features a marker-like applicator and a recent (much needed) addition of a balm. The colors are perfect for fall. Do you like the Just Bitten line? Do you like the "just bitten" lip look? Would you try this? 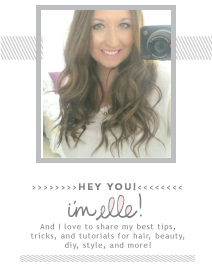 What are your beauty tips? good ideas for moisturizing! i've seen these before but i've never tried them myself. I do this! Great tip! Bubzbeauty on YouTube just did a mini review on the Just Bitten Lip Stains. Based on that alone, I wouldn't personally try it as it appeared the stain dried out quick and the balm broke off easily. great beauty tip! i have these things on hand already, so this should be marvelous.